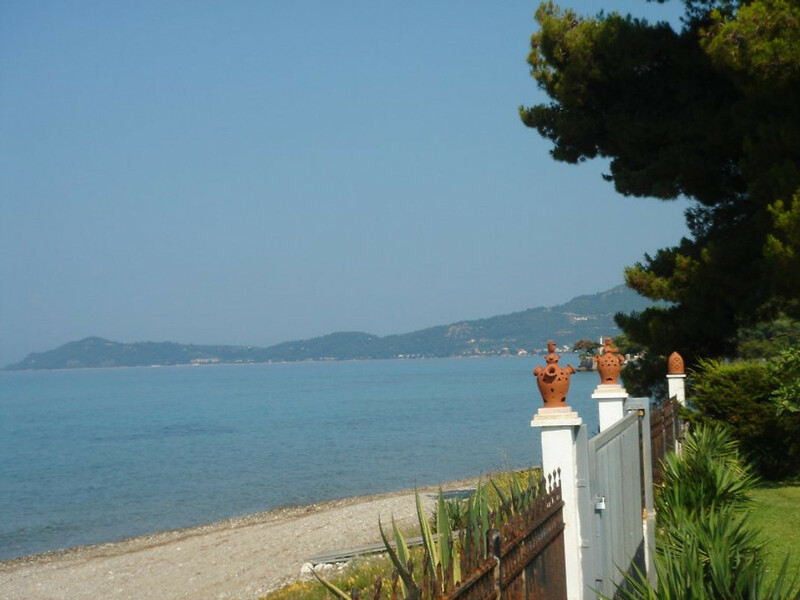 Dream holiday home by the sea in Chalkidiki Greece in a very quiet area with very clean sea! 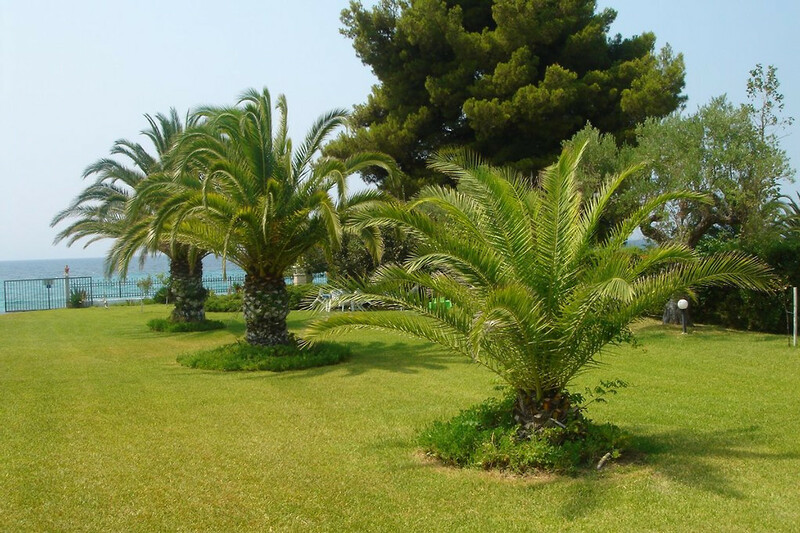 The house is located in a very quiet area and in a park-like landscaped garden, directly on the sea with almost private beach. 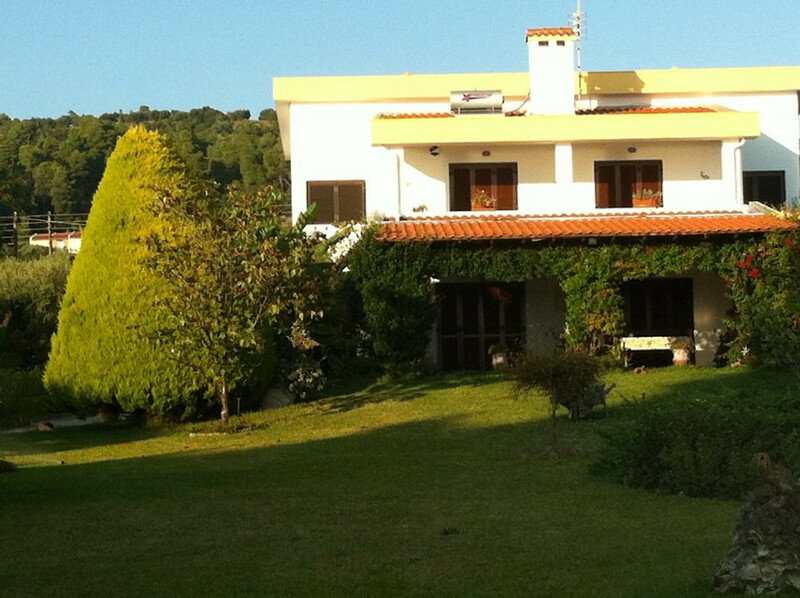 The whole property covers 3000 m2. The area has a very dry microclimate. It is a combination of sea and mountain. 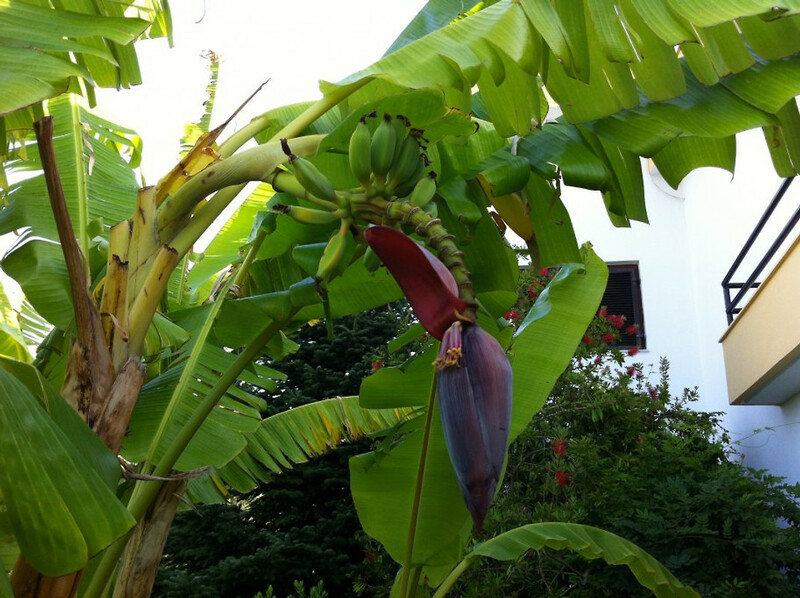 Even banana trees grow !! It is really a paradise on earth !!! 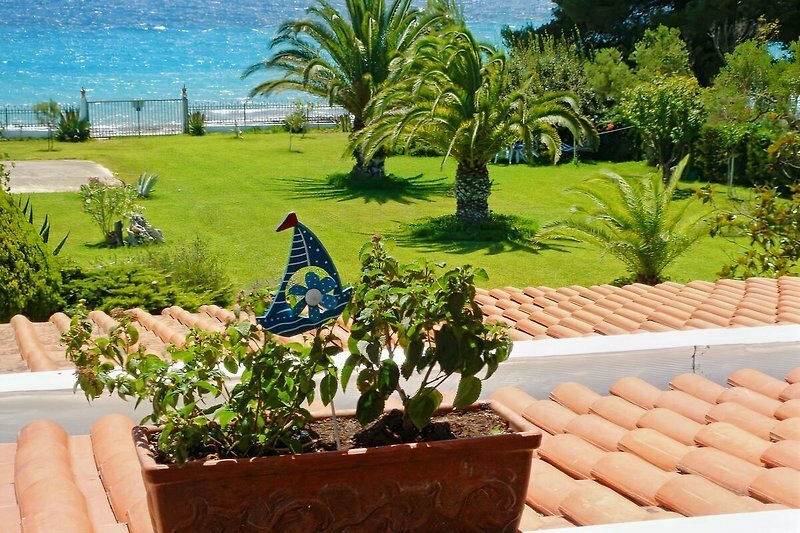 It has 100% sea view, both from the upper and the lower balcony! 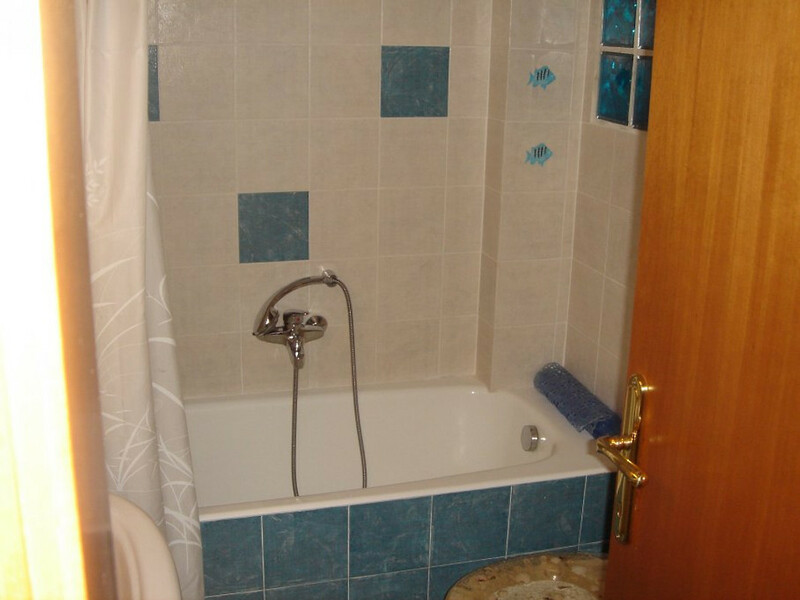 On the first floor are 3 bedrooms with balcony and bath. 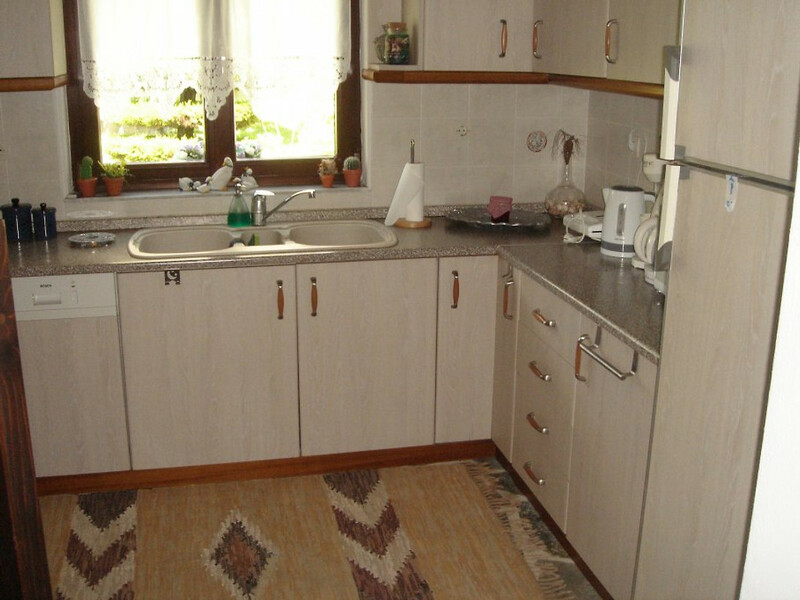 The ground floor, about 50m ², consists of: living room with fireplace, TV, fully equipped kitchen with electric hob, oven, microwave, coffee maker, fridge, dining table, TV, dishwasher, and a shower. There is a large BBQ for sole use (see photo). The property is fenced and therefore suitable for children. 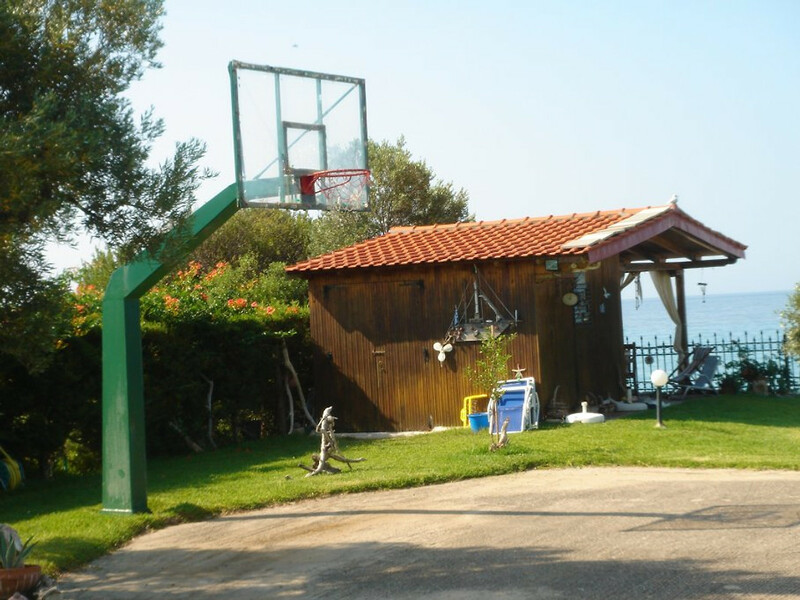 A basketball court is also available. There are 2 bikes available for free use. 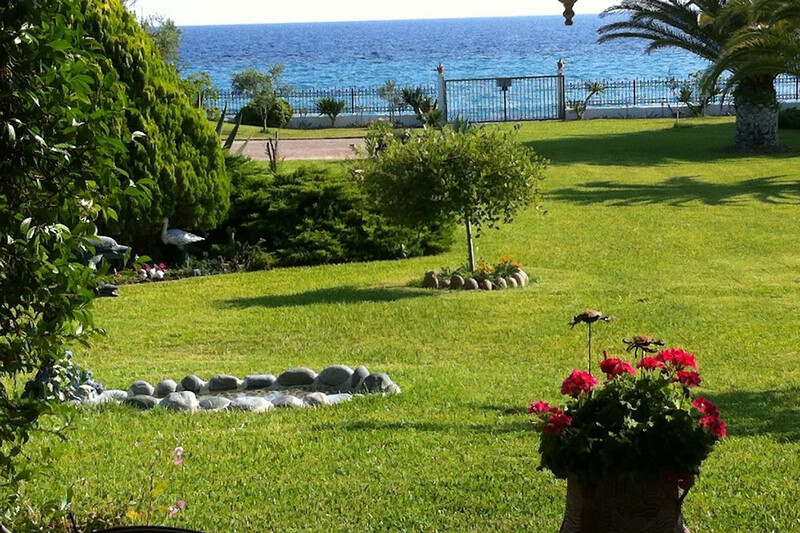 The house is right on the sea, so if you open the garden gate to the sea, you are already on the beach !! 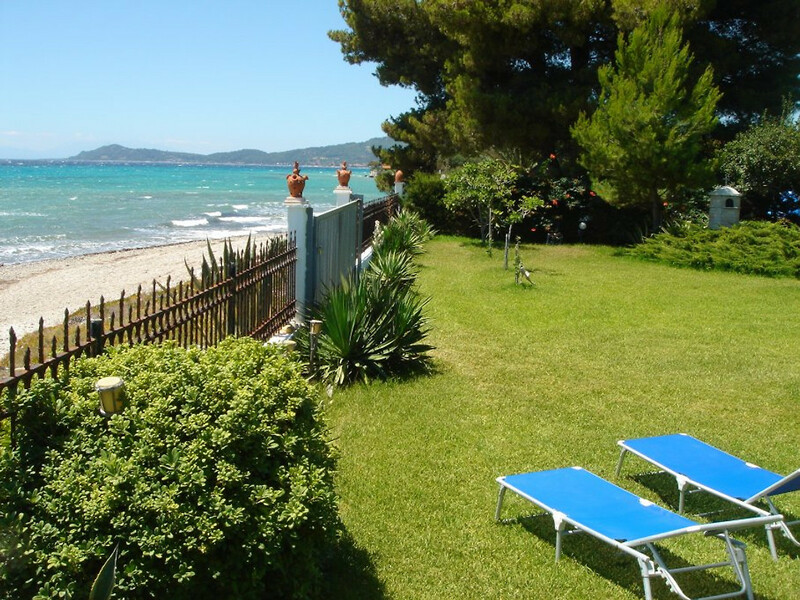 At the end of the property there is a garden shed with a beautiful terrace, almost by the sea !! where you can enjoy the breakfast and the sunset !! 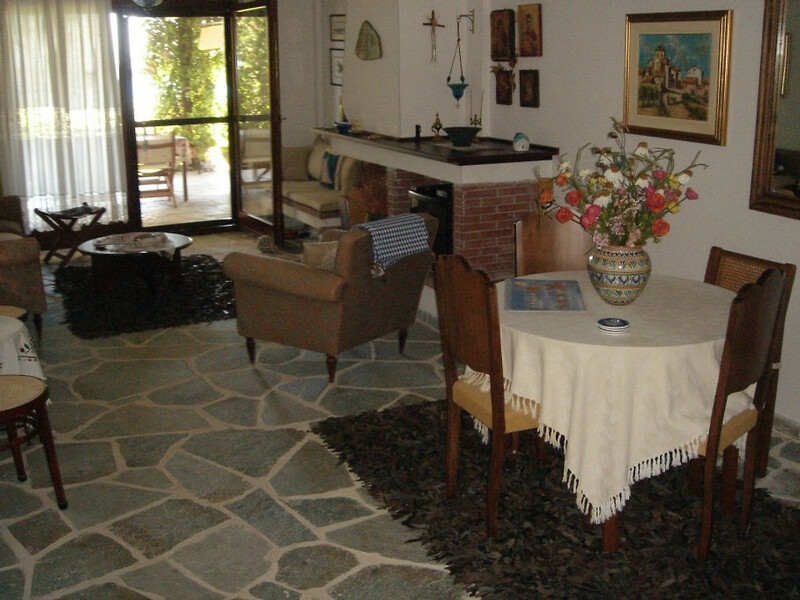 The house is about 90 km from Thessaloniki airport and 1 km from the village of Nea Skioni. 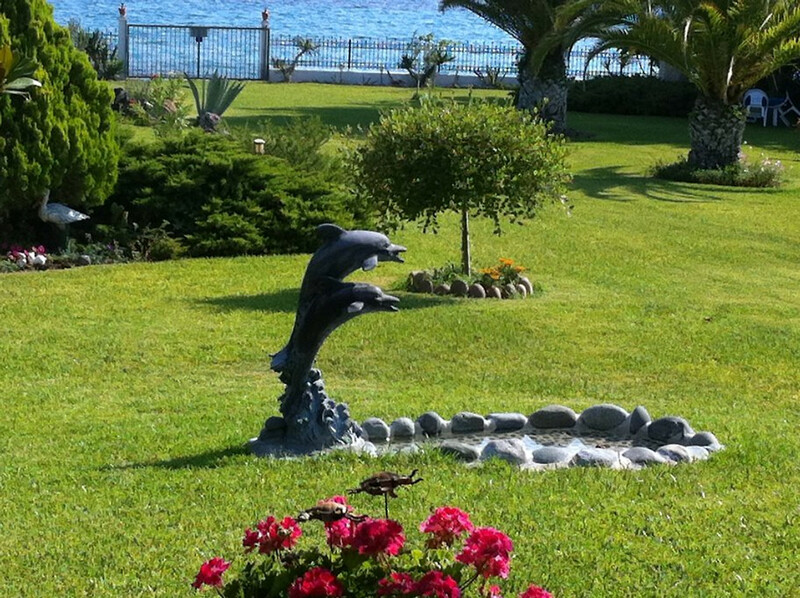 The village Nea Skioni is a pronounced fishing village! with very good fish and also meat taverns. 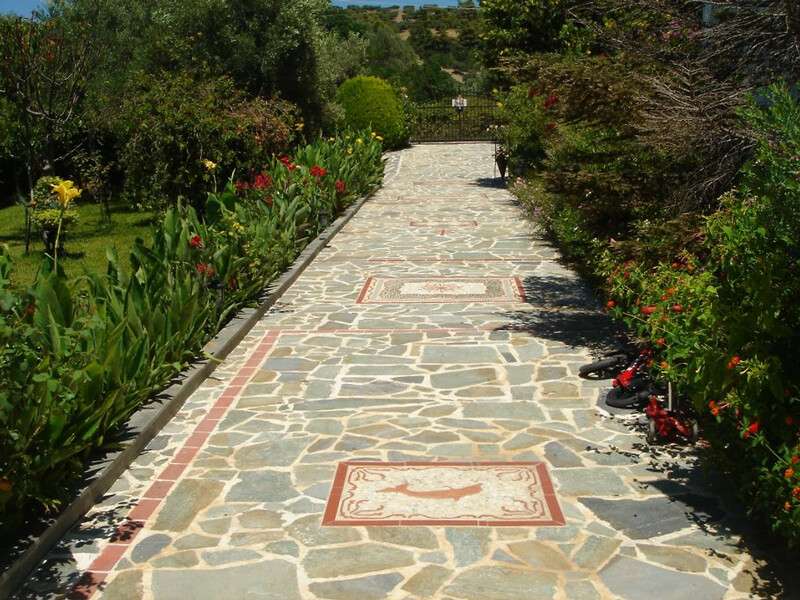 You can even walk to the village center and then start a walk at the harbor! 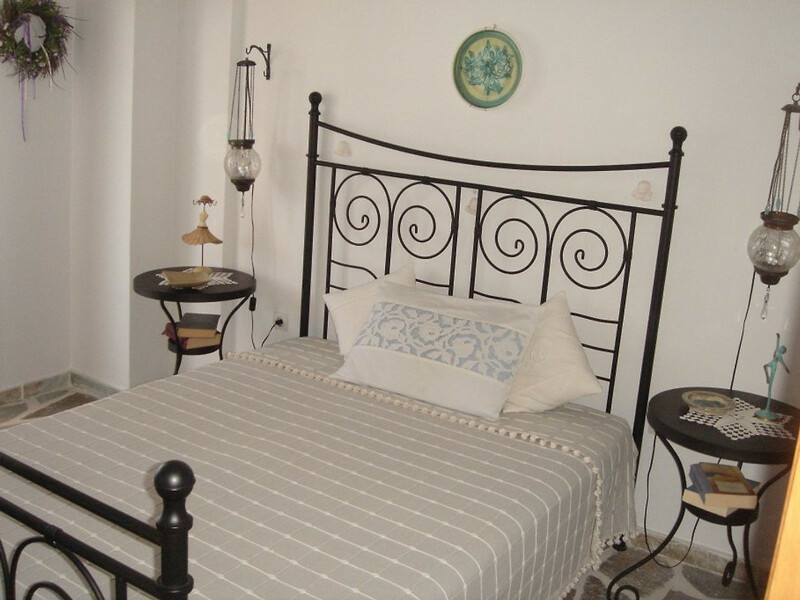 - Minimum overnight stays in high season (June-August): 10 days. - For more nights of 2 weeks, a discount is granted. Please get an offer! - Maximum occupancy: up to 4 people. 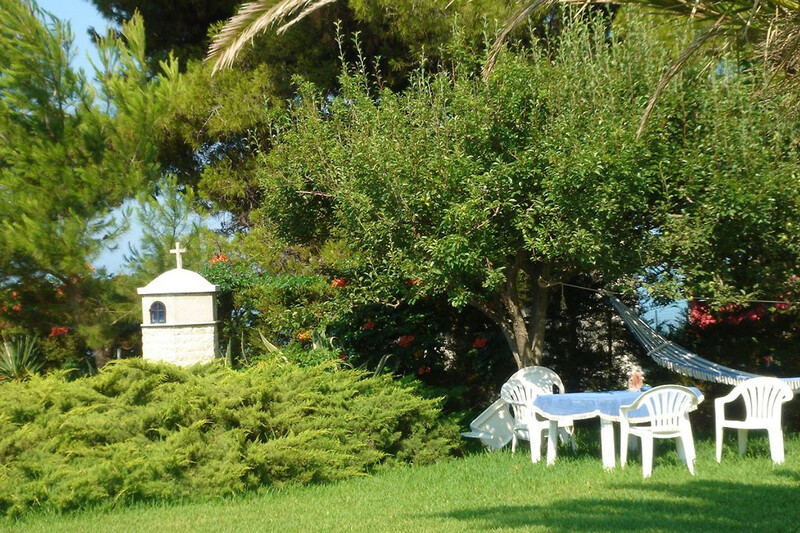 - Supplement for each additional person, up to a maximum of 5 persons: 10 Euro per night. - Deposit: 30% on booking. Balance: after consultation. 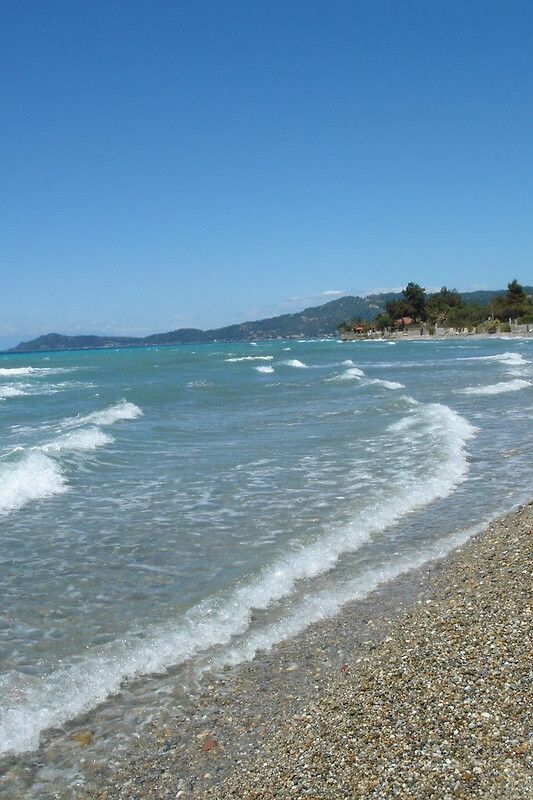 One can start from the place Nea Skioni, a day trip and visit all 3 so-called fingers of the peninsula Chalkidiki. In the third finger is the Holy Mountain with the famous monastery! A spa (thermal bath) is about 5 kilometers from the house. Die Villa Evi ist ein paradiesischer Fleck Erde. Direkter Zugang zum Meer und gepflegter Garten, absolute Ruhe und ein komplett eingerichtetes Haus lassen nichts vermissen. Evi und Thanassis sind diskrete und charmante Gastgeber. Wir können die Villa Evi vorbehaltlos empfehlen und werden gerne wiederkommen. 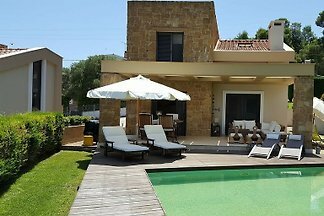 This year was the first time we decided to rent a villa instead of going to hotel. We are a family with two boys (15 and 5) and my mother joined us for the trip too. 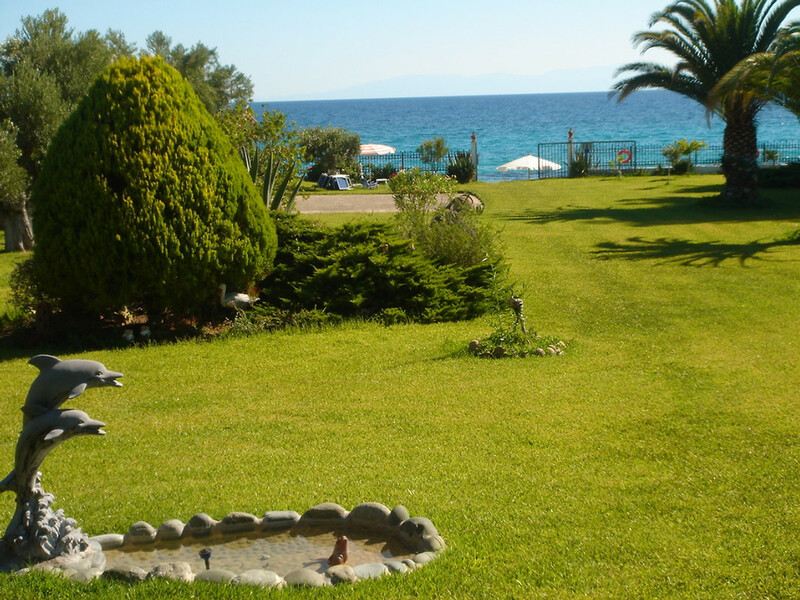 Villa Evi was so much more than just vacation rental, it was our home for those two weeks. 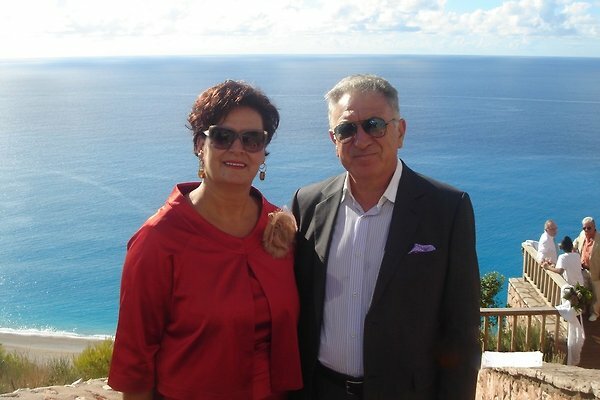 Evi and Thanasi are the kindest people you can imagine, always there to help you with anything you might need during your stay. 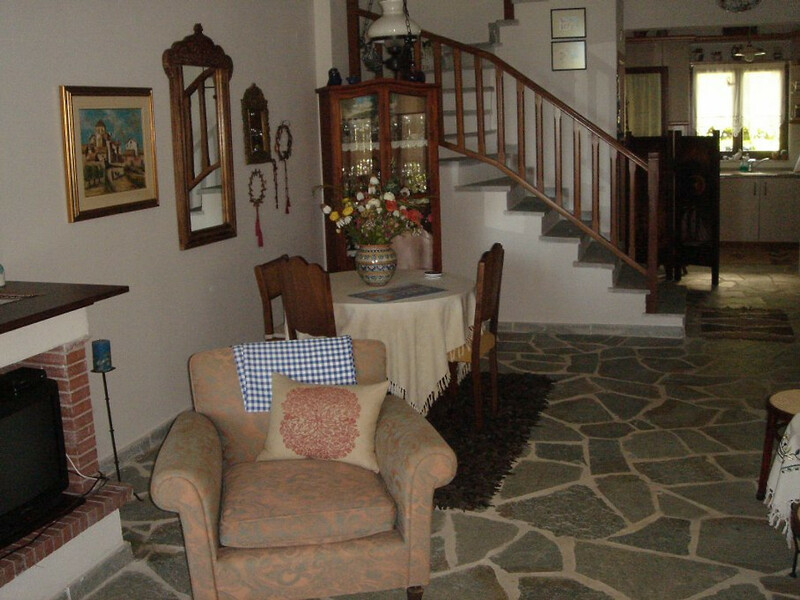 Villa is not a simple furnished accomodation, but a lovely decorated home that will make you feel if you are visiting family. Position beachfront gives you the nicest view from early morning to night, weather you are having coffee on your balcony, having lunch on the sitting area in front of villa or enjoying the sea in bungalow next to the beach. Garden is very well arranged, like in a park with many cute details that Evi designed all over the place. Boys loved the basketball playground in the yard, spent so much time on it playing and jumping to the sea after the game. Safe parking inside the yard, lovely grass that you can walk all day long bare foot makes you feel relaxed. Many times we were served with most delicious fruit from the garden as well as some fabulous cakes our hosts prepared. House is so very clean and well maintened. 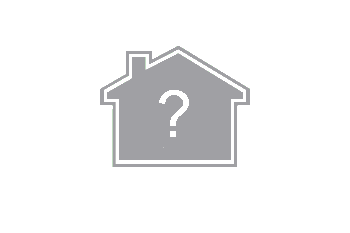 A lot of extra bedding and towels are available and kitchen has all necessary appliances . 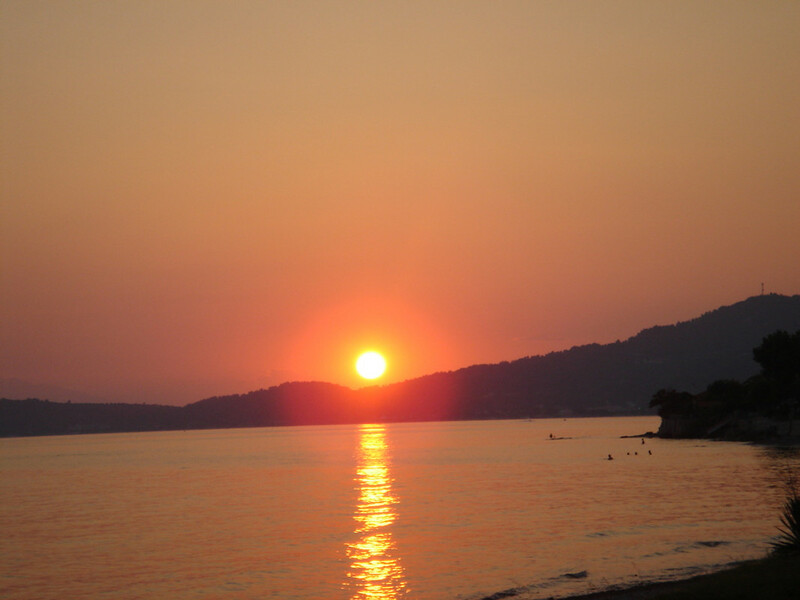 Nearby village Nea Skionni offers nice variety of taverns and market, we can recommend Georgios on the beach for both fish and meat, as well as Captions in nearby Loutra, a great fish restaurant that was kindly recommended to us by Thanasi. Full recommendation for this great place and lovely hosts. Can't wait to be back there. Thanasis und Evi sind ganz tolle Gastgeber, wir fühlten uns vom ersten Tag an willkommen. Traumhafter Garten mit Zugang zum Strand, das Haus komplett ausgestattet und sauber. Viele kleine Orte mit schönen Stränden und unzähligen Restaurants. 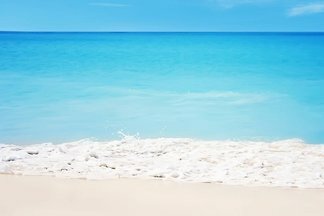 Ein Traumurlaub, Vielen Dank !!! Gleich bei der Ankunft waren wir begeistert von dem traumhaften Garten und dem Haus das keine Wünsch offen lässt. Abends auf der Veranda sitzen bei einem Glas und den Blick aufs Meer genießen. das Paradies. super tolle Lage, Frühstücken mit Sicht auf's Meer. Chillen und Erholen unter griechischer Sonne, was möchte mann mehr. Ich war bereits das zweite Mal auf Skioni / Halikdiki und werde sicher wieder kommen. Der Fisch beim Capitano (Taverne nicht weit vom Ferienhaus) schmeckt einfach super gut. Auch Ausflüge in die Stadt Thessaloniki oder in die Berge sind schnell zu erreichen. Ein verzauberter Ort mit bezauberten Menschen in einem gepflegtem, liebevoll eingerichteten Haus in dem es an nichts fehlt! Wunderschönes, gepflegtes Haus an traumhafter Lage. Sehr nette und hilfreiche Besitzer. Absolut empfehlenswert! Zum Entspannen und Geniessen und an einem pittoresken Ort das griechische Leben kennenlernen. Die Villa Evi ist ein paradiesischer Fleck Erde. Direkter Zugang zum Meer und gepflegter Garten, absolute Ruhe und ein komplett eingerichtetes Haus lassen nichts vermissen. Evi und Thanassis sind diskrete und charmante Gastgeber. Wir können die Villa Evi vorbehaltlos empfehlen und werden gerne wiederkommen. 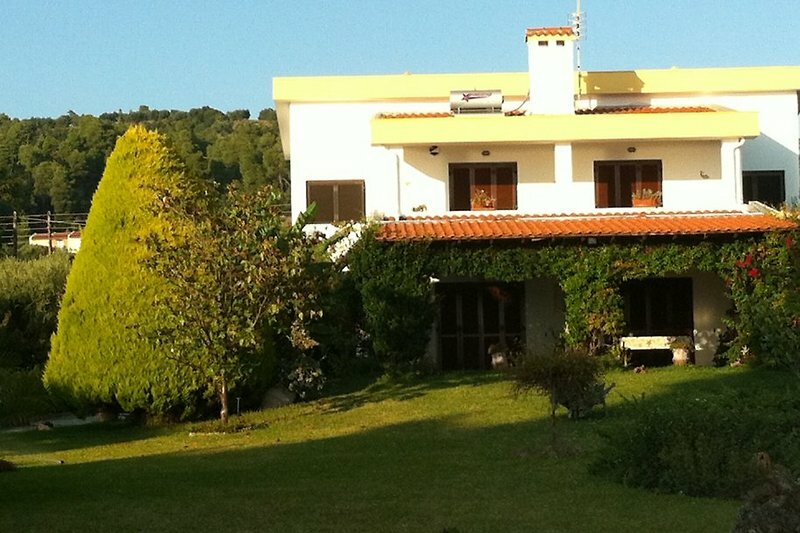 This year was the first time we decided to rent a villa instead of going to hotel. We are a family with two boys (15 and 5) and my mother joined us for the trip too. 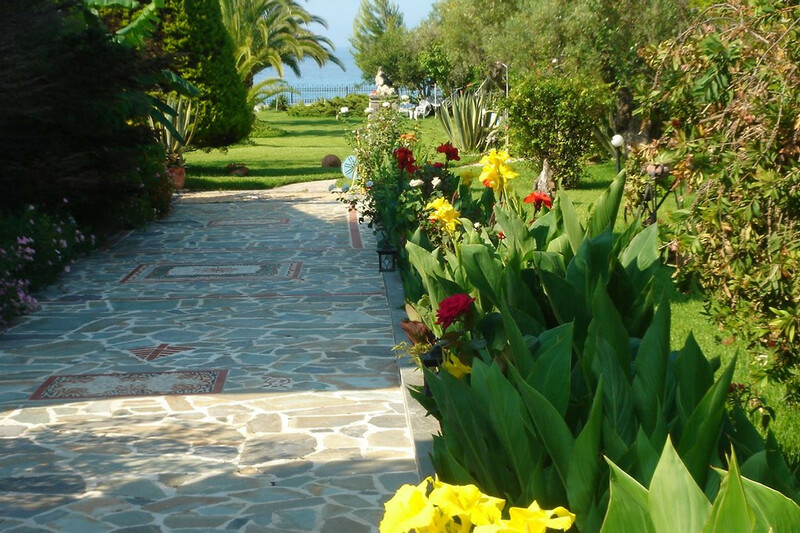 Villa Evi was so much more than just vacation rental, it was our home for those two weeks. 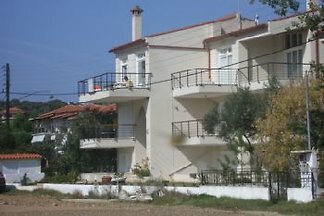 Evi and Thanasi are the kindest people you can imagine, always there to help you with anything you might need during your stay. 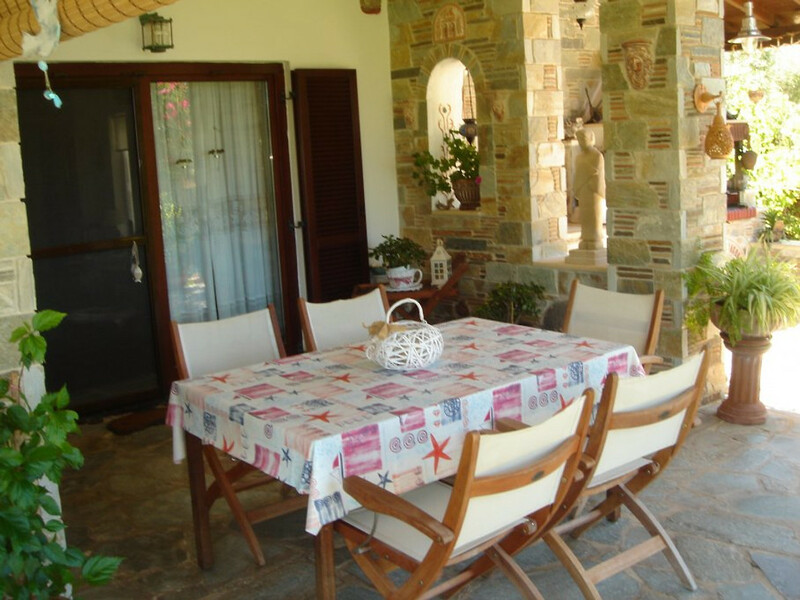 Villa is not a simple furnished accomodation, but a lovely decorated home that will make you feel if you are visiting family. Position beachfront gives you the nicest view from early morning to night, weather you are having coffee on your balcony, having lunch on the sitting area in front of villa or enjoying the sea in bungalow next to the beach. 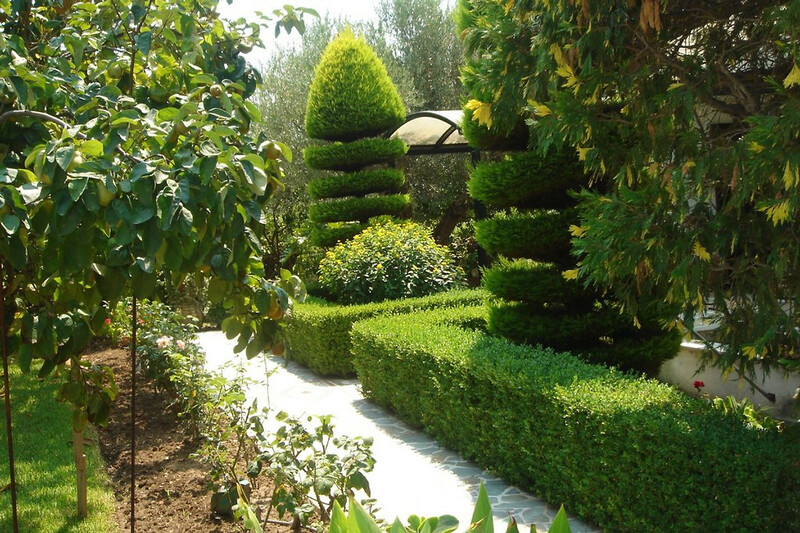 Garden is very well arranged, like in a park with many cute details that Evi designed all over the place. Boys loved the basketball playground in the yard, spent so much time on it playing and jumping to the sea after the game. Safe parking inside the yard, lovely grass that you can walk all day long bare foot makes you feel relaxed. Many times we were served with most delicious fruit from the garden as well as some fabulous cakes our hosts prepared. House is so very clean and well maintened. 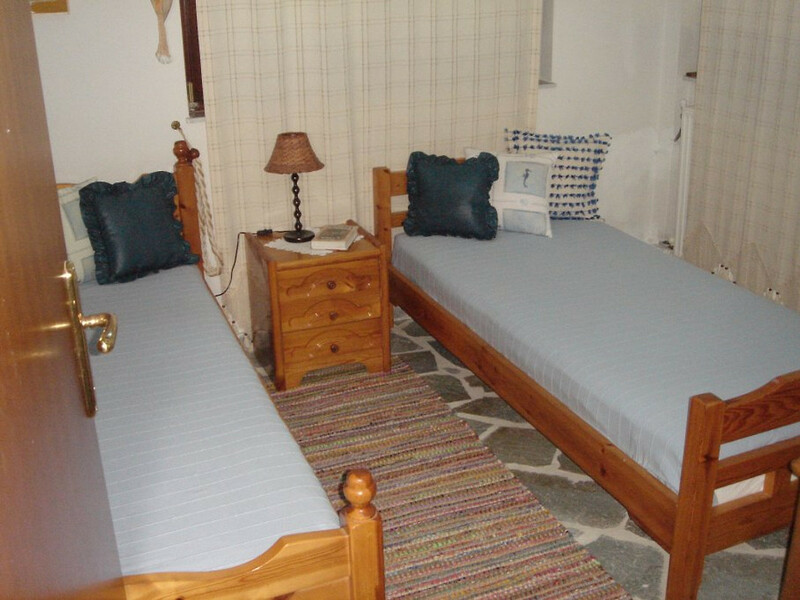 A lot of extra bedding and towels are available and kitchen has all necessary appliances . 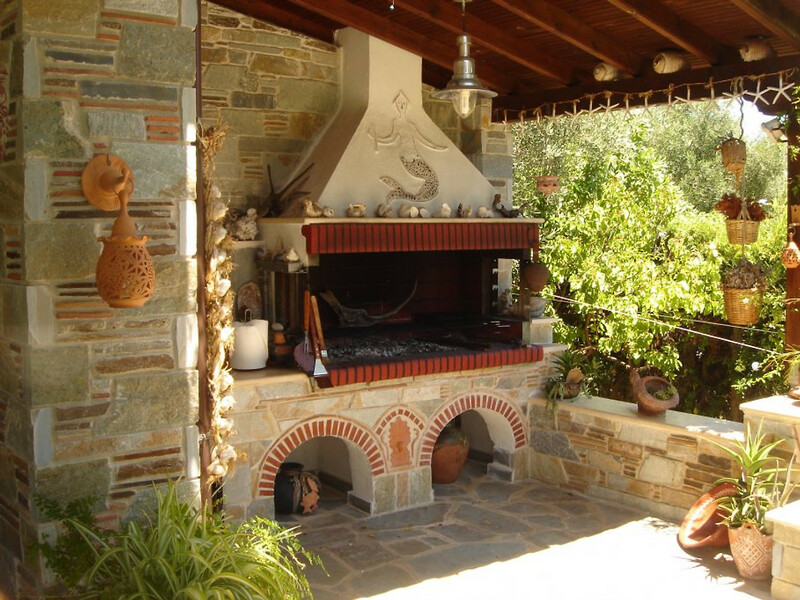 Nearby village Nea Skionni offers nice variety of taverns and market, we can recommend Georgios on the beach for both fish and meat, as well as Captions in nearby Loutra, a great fish restaurant that was kindly recommended to us by Thanasi. Full recommendation for this great place and lovely hosts. Can't wait to be back there.